Not so the PancakeBot. This gadget is a 3D printer that's hooked up to your computer and a griddle. It can draw complex shapes and pictures and you can add food coloring to produce whimsical pieces of pancake art—including your own face. And it's already gone into production. Inventor Miguel Valenzuela created the original PancakeBot from LEGOS and a repurposed ketchup bottle on a whim to please his two daughters, Maia and Lily. You can check out the original version below. It's pretty ingenious. The original PancakeBot made out of LEGOs. The current iteration is a lot more high-tech. Check out the explanation of how PancakeBot works in the video below. Kickstarter video: How the PancakeBot works. FYI: you do need to flip the pancakes yourself, but maybe Valenzuela will join forces with the two scientists who taught a robot how to do it. 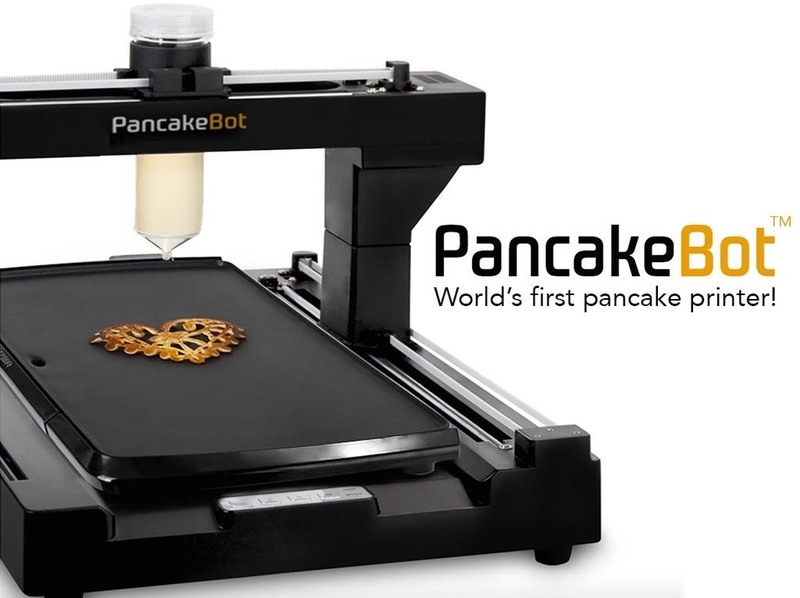 The PancakeBot surpassed its Kickstarter goal with $460,584 in funding, which was over $410,000 more than asked for. You can no longer preorder one, and as of November 16th, they're still working on getting them certified for manufacturing, but they should be coming out soon for a MSRP of $299. PancakeBot creating a spaceman and wolf, among others designs. The newest trailer for PancakeBot. If you like the idea of PancakeBot but don't want to shell out that kind of dough, not to worry: there are multiple ways to make some pretty damn cool pancake art armed with nothing more than a griddle, a squeeze bottle, and your ingenuity. And if you're on a health kick, then you need to learn how to make these low-carb, high-protein, and gluten-free two-ingredient pancakes. Great kitchen equipment can inspire your cooking, whether you want to get a Himalayan salt block for grilling or just read about how big-time chefs use the Anti-Griddle in their restaurants. Speaking of professionals, most chefs favor carbon-steel knives. Maybe you should, too.